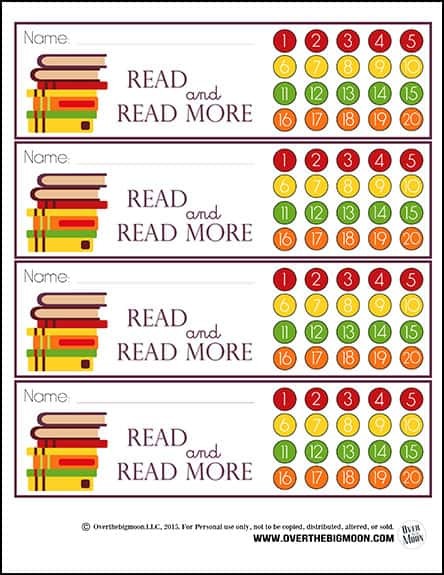 These Printable Punchcard Bookmarks are the perfect way to help your kids track their reading and help motivate them to learn to love to read! School is in full swing around here! Things have been good, even homework time has been amazing thanks to our new Homework Station! The only item I’m getting any resistance from with my 2nd grader is getting his reading minutes in! 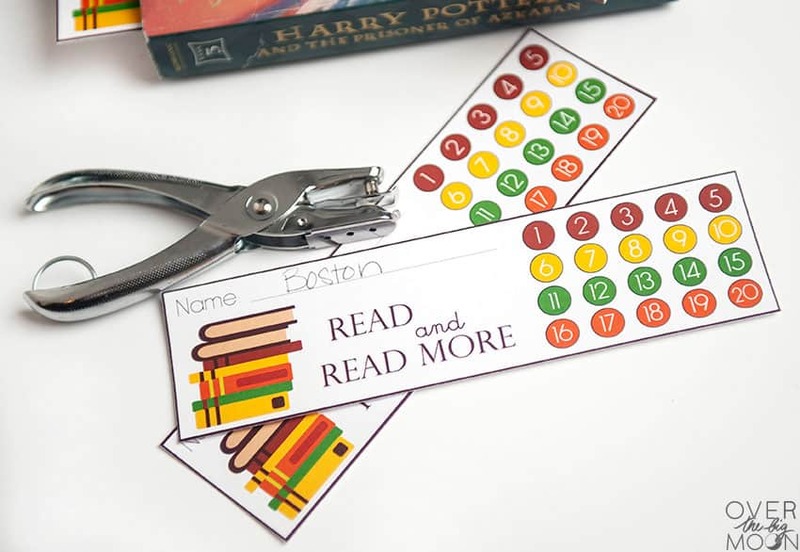 I wanted to help give him some incentive and motivation to do his reading, so I designed these cute Printable Bookmarks with punches on them! You ultimately can use it however you want, but I have two ways that I am going to try. 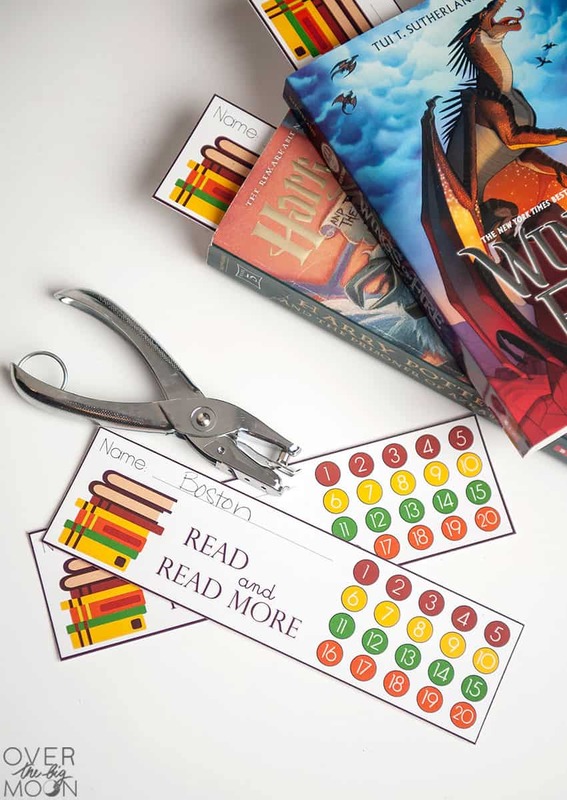 I initially designed the bookmarks to have 20 spots to punch (or sticker, or mark off, etc)! I designed it that way thinking that it would last for approx one month — that’s spots for them to read 5 of 7 days a week for 4 weeks. If he can read 20 of the 30 (or 31) days a month, then he’ll earn a reward. For example ice cream date, go swimming, $5, etc! You could also give each punchcard a time value. So, they can punch a spot for every 30 minutes they read. When the bookmark is full, then they earn a reward! My Nathan is really excited about this new system! He likes to visually see his progress, plus he really likes having a fun bookmark! I already know I will be designing some others in the near future! You can download the PDF below! Just print them at home on cardstock and then cut out! To make it more durable, we did put them through our home laminator. But, if you don’t have one, then don’t stress. I really think leaving it as plain cardstock will be fine for just the 1 month! 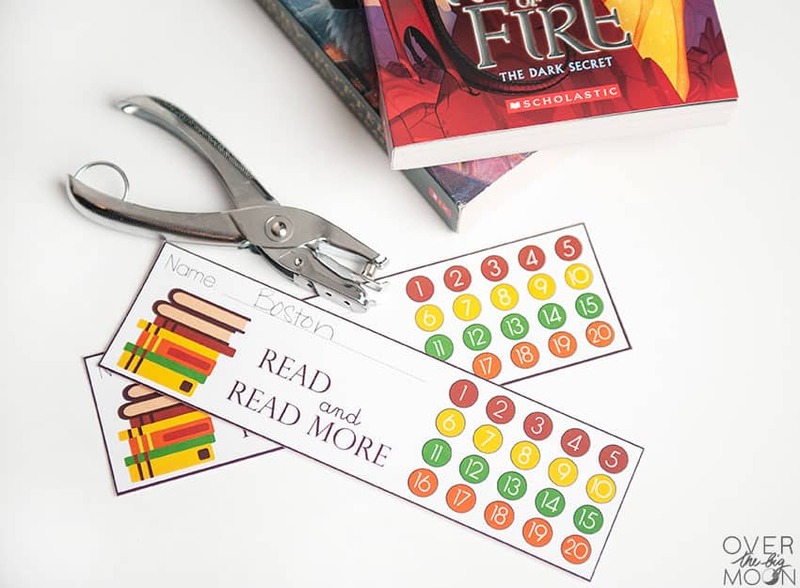 If you don’t want to punch your bookmark, then you could also laminate it and then use a marker to mark off the days. To download the bookmark, click the button below! The download will open in a new tab! If you love this printable, I’d love it if you pinned the image below! I am a homeschool mom and I would love to use these but I can’t get it to down load. can you send it to me in a PDF. I have used some of your other materials/learning tools and love them. this is the first time I have a had a hard time down loading. 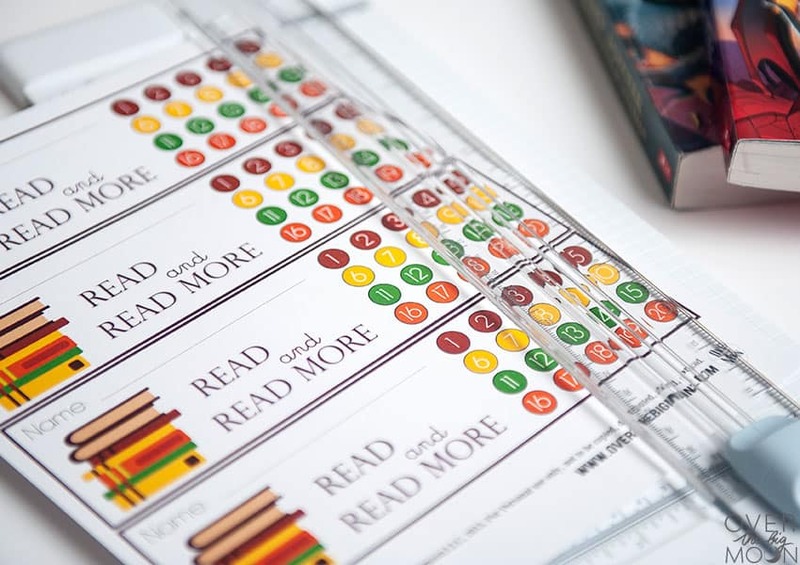 These look great & I would love to use them with my students! I can’t find the link to download them. Advice? It took me awhile to find it too because it is above where it says the link is below. 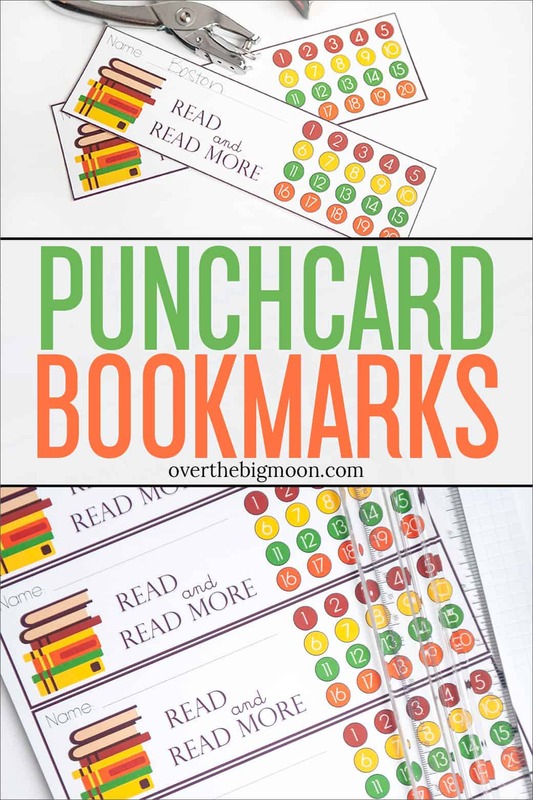 Click on the image between the headings of Punch Card Bookmark and Printable Reading Bookmark. It will open the image and then right click and save a copy. 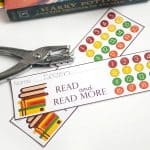 I am having a hard time finding the link to print these bookmarks. I doesn’t show up on my screen anywhere. Could it possibly be emailed to me? I love these and have used them the past two years and no longer have a master copy to make copies of them with. Any help would be GREATLY appreciated! 🙂 Thanks! I hav been using these for 3 years now, but I cannot get it to work this time. Can you send the PDF please? I have been using these the past 2 school years as part of a welcome gift and the link isn’t working anymore. Is there a way you can send me the link for the pdf, please? Love this! I’ll print some out for my students! Love these! I was wondering if you’d make one for practicing music during the week. So maybe numbered 1-7 for the days of the week. Thanks! Are they reading in class or at home? How do you know they’ve read?